To The Sea from LIFT11 on Vimeo. 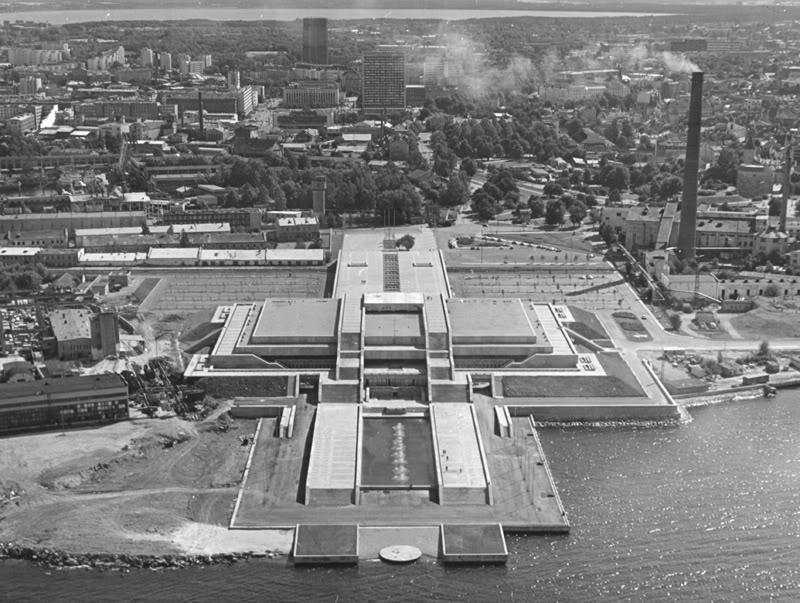 The Linnahall, built for the Tallinn Olympic Regatta held in 1980 (architects Raine Karp and Riina Altmäe), was the first and only place offering common people access to the sea within the city centre during the Soviet era. 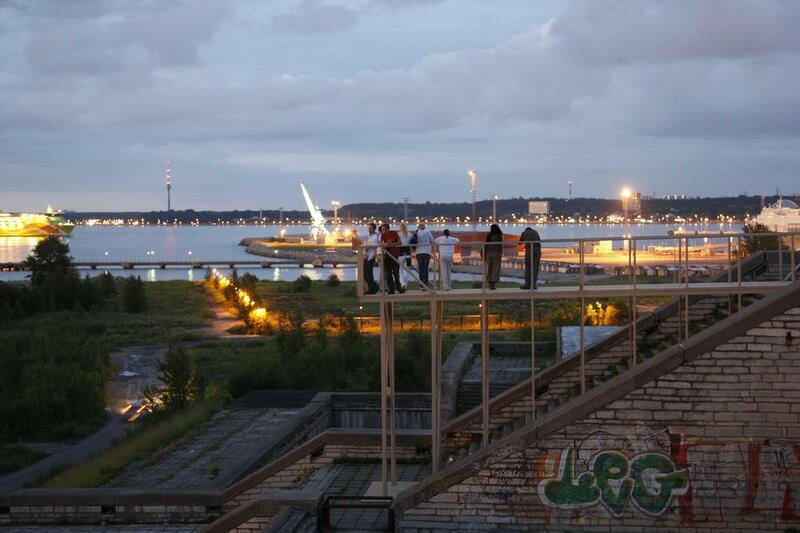 The immediate area by the Linnahall was closed, and therefore people had to walk across the roof. 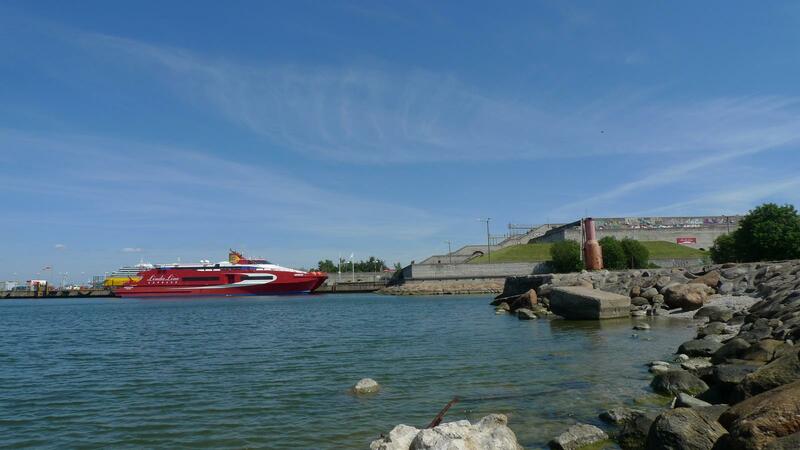 The building was designed to have a low mastaba-like structure because of the still-existing requirement that the view of the Old Town from Tallinn Bay must be preserved. However, due to poor construction quality and some functional particularities, such as the absence of an orchestra pit and the fly tower being too low, the Linnahall is in hibernation today, waiting for the winds of change and for investments. Despite the internal lull, the roof and the stairs of the Linnahall continue to be popular spots for spending time, especially in the warm season. The installation was inspired by the unique location and the impressive architectural concept of the building, and further emphasised the sense of going to the sea from the Old Town. By adding the temporary observation platforms, the installation accentuated the inherent desire, contained in the building, to move on towards the horizon and freedom.